Sophie lived in a tall, tall building overlooking a large green park. In the middle of the park was the biggest, strangest most wonderful pet shop in the world. It was built like a ship, with tall glass sails stretching to the sky and it was called The Noahs′ Ark. Every evening Sophie made three secret wishes as she gazed at the ark in the park. Over at the Noahs′ Ark, Mr and Mrs Noah, who owned the pet shop, also made a secret wish – the same one every time. On a very special birthday, a magical meeting shows Sophie, and Mr and Mrs Noah, that secret wishes have a way of coming true. 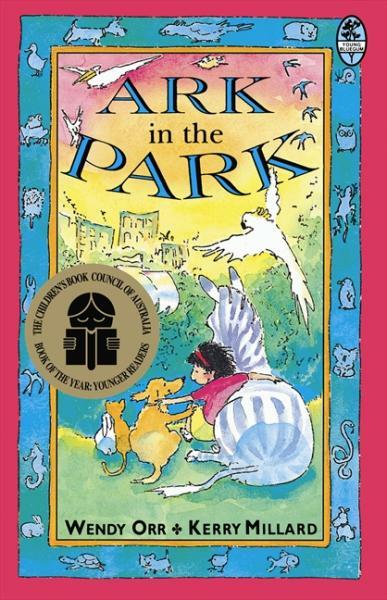 ∗Winner, Children′s Book Council Book of the Year Awards, 1995.